The Ice Bucket Challenge is all over Twitter and Facebook. People are dousing themselves in icy water to raise awareness of, and donations to the MND Association, a campaigning charity funding research into Motor Neurone Disease. A more recent development has been a brilliant idea by illustrator Mark A Chambers, for artists to DRAW an ice bucket doodle instead (which not only saves water, but is much more civilized in my opinion!). Last night I was nominated by the lovely Jo Byatt to take part in the doodle challenge, meaning I had to make a donation, produce a drawing within 24 (or 48?) hours, and nominate 3 more illustrators to carry on the challenge tomorrow. Well, I really wanted to take part – it’s a good cause, and it’s been fun looking at the doodles by other artists. In spite of a packed day, I’ve managed to squeeze in this (M)ice bucket doodle… but now I’m in a quandary. Do I really want to inflict this kind of deadline on any of my illustrator friends? I know they’re all really busy! I remember receiving chain letters as a child and being very worried by the dire threats of what might happen if someone were to BREAK THE CHAIN! Of course, there are no such threats attached to this challenge. No one can deny the power of social media to publicize and raise awareness of a good cause, and everything is done in good humour. I guess I could have just ignored the challenge if I’d wanted to. Nowadays, if I receive one of those emails inviting me to take part in a recipe tree or whatnot, I tend not to participate – again, mainly because I don’t want to have to pass the burden on to time-impoverished friends. The difference with challenges issued on Twitter or Facebook though, is that they’re so public, some people might find it impossible to say no. So, at the risk of pouring cold water on the fun (sorry! 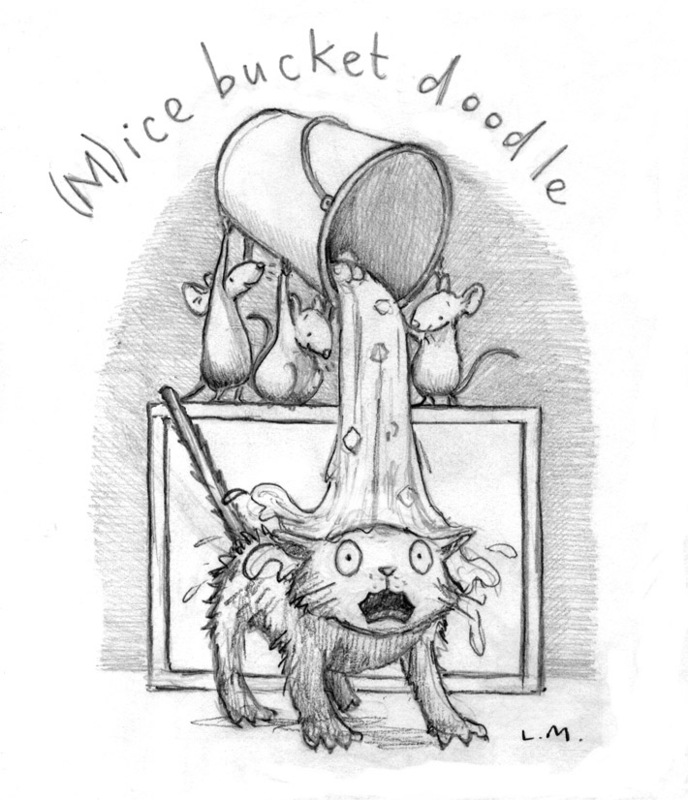 ), I’ve decided not to nominate anyone else to take the ice bucket doodle challenge. 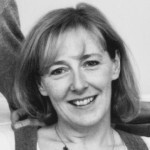 Instead, I’m posting my pic here, and I’d encourage anyone who wants to do a doodle, (or even pour a bucket of cold water on their heads), to go for it! More importantly though, please make a donation to MND Association by texting ICED55 £5 (or your chosen amount) to 70070.